Who else will sell Internet 'cable'? 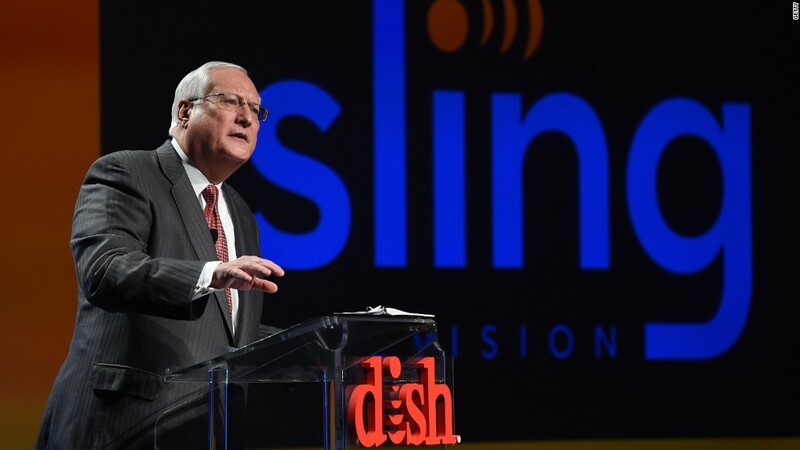 Dish's new Sling TV, a cable-like television package delivered via the Internet, has the potential to disrupt the TV industry. Who else will now try the same thing? Other media giants are known to be working on "virtual cable" services -- some are likely to go ahead, and others are not so likely. Sony: The maker of the PlayStation video game console has been pretty public about its plans for a streaming cable service -- like Netflix (NFLX), but for live channels, not just on-demand shows. Sony (SNE) already has deals in place with Viacom (VIA) and CBS (CBS). Sony's service might differ from Dish's by including more channels (like existing cable bundles) and by being more expensive. But there's no word on when this "cloud-based TV service," presumably purchased through the PlayStation, might launch. DirecTV: Dish's main satellite TV rival has also expressed interest in selling a version of cable to Internet subscribers. For both Dish (DISH) and DirecTV (DTV), "virtual cable" might be a way to sign up new subscribers who don't want the hassle of a satellite dish and in-home installation. Having ESPN was crucial for Dish, so it's noteworthy that when ESPN's parent company, Disney, completed a new distribution deal with DirecTV last month, the press release said the two sides will "explore new opportunities with respect to potential over-the-top offerings." "Over the top" is an industry term for selling service on top of existing wired or wireless connections. In other words, these products are BYOB, or "bring your own broadband." Verizon: This time last year, wireless phone giant Verizon (VZ) acquired the assets of OnCue, an Internet TV service that Intel created but decided not to launch. "We think you could probably do a wireless over-the-top play," Verizon's CEO said last year. Might it sell a bundle of channels for smartphone viewing sometime soon? Comcast: The nation's No. 1 provider of traditional cable has signaled that it doesn't see much upside in trying to sell cable-like packages to households that don't already receive its broadband service. When I interviewed Comcast (CCV) executive Matthew Strauss on stage at a Business Insider conference last month, he reiterated that the company's priority is the so-called "triple play" -- a bundle of TV, broadband and phone sold to homes through Comcast's physical pipes. But if the company ever changes its mind and decides to go "over the top," it could move fast -- it already has much of the necessary technology in place. Other cable providers: Charter, Cox and Cablevision (CVC) don't seem close to offering streaming cable services, either. MoffettNathanson senior analyst Michael Nathanson understands why: "The math is so challenging. It is hard to deliver a low price point and include everyone's content." For now, Dish's Sling TV only includes channels from three big channel owners -- Time Warner (TWX) (which owns this web site), Disney and Scripps Networks. That's why the monthly price, $20, is so low. But even though it has limits, Sling TV and other similar entrants might change the broader cable universe by making cable more convenient -- enticing people who don't currently subscribe at all to give it a shot. It might also put pressure on those costlier bundles of channels that most households currently pay for. Smaller cable channels that currently survive on the backs of bigger siblings will likely have a harder time in the future.